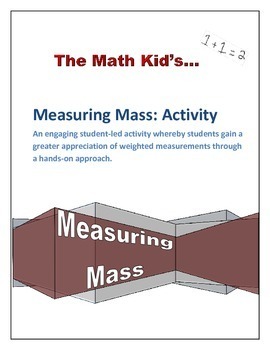 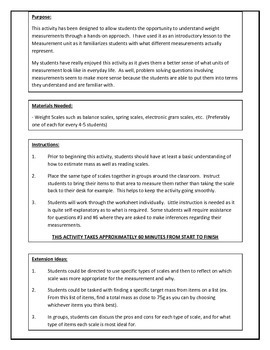 An engaging student-led activity whereby students gain a greater appreciation of weighted measurements through a hands-on approach. 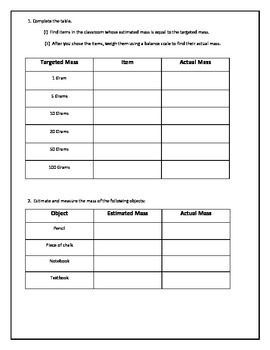 During this activity, students will use various weight scales to measure common items around them to gain a deeper understanding of different units of measurements for mass. 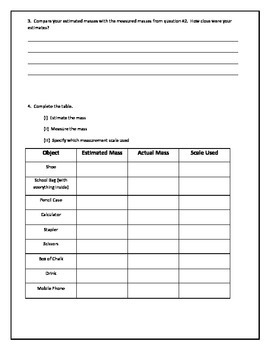 It includes several tables for students to record their data as well as sections for reflective analysis.